(November, 2008) Gary lives in Old Orchard Beach on the coast of southern Maine. Musical Background - I was introduced to music when I started taking piano lessons as a youngster. In my early school days, I played the alto saxophone. In high school, our band was very active, and I played the baritone sax and occasionally had an opportunity to conduct the band. I considered pursuing a musical education following high school but plans changed and I joined the Navy for six years. Over the years, I acquired two relatively basic organs and played for my own entertainment. I had not played for a considerable time until several years ago. Then, my father (a music lover who has always encouraged me) got a Kawai concert performer, and playing his new piano reawakened my enthusiasm for music. Since I have limited space in my home, I became curious about keyboards. About 18 months ago I went on-line and purchased a PSR 3000. I had no previous experience with such an instrument, and at first it was overwhelming. The capability and sound quality of this instrument exceeded anything I experienced previously. Fortunately, I found the PSR Tutorial site, and it proved to be a tremendous resource. The members have been extremely responsive and helpful. I am but an amateur musician; however, like so many other keyboard enthusiasts here, I find myself playing at the keyboard until the wee hours of the morning. I look forward to many hours at the keyboard during these long, cold Maine winters! I hope you will find the music entertaining and I welcome your comments. 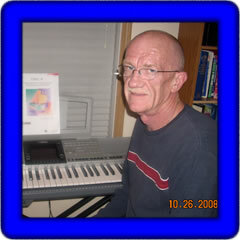 Gary provided 70 songs in midi format. These were created on the PSR-3000. Individual songs are shown in the table below and any one song can be downloaded by right-clicking on the song link. The table displays the song title, tempo (T), time signature (TS), lyrics (L), chords (C), where possible, the style used, the original volume (V), and the keyboard used (K). You can download Gary's 70 MIDI songs here: GK-3k.zip.